Real Estate Funds are typically larger than DST/TIC structures, but smaller than REITs. They often seek to raise $100 million or more in capital, which is then used to purchase income-producing real estate. Many funds use leverage to increase their purchasing ability and projected returns. Due to their manageable size, real estate funds are able to focus on particular asset classes or regions of the country. Some funds will also focus on purchasing real estate from certain institutional sellers, allowing them access to discounts or benefits not normally available to the smaller investor. Like DST/TIC offerings, real estate funds typically have a projected period of holding the property (i.e., 5-7 years), though the date of sale depends upon factors related to the specific properties, as well as to the overall market which cannot be predicted with certainty. Investments in real estate funds are not considered an interest in real estate and are not eligible for 1031 exchange purposes. 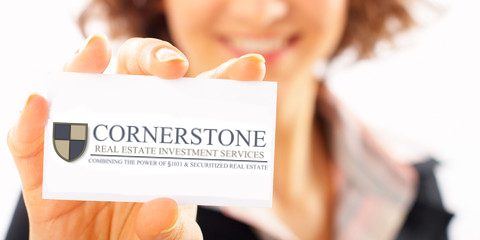 Finally, the real estate fund offerings through Cornerstone are private placement investments accompanied by a private placement memorandum, but there are significant elements of risk that should be evaluated by the investor before purchase. Also, as there is no established secondary market for these interests, they should be considered illiquid investments.